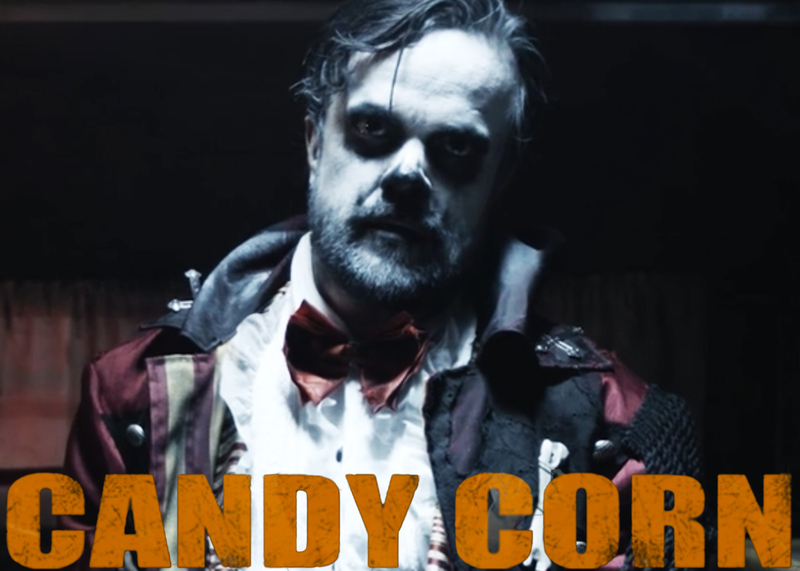 If you’re a fan of indie horror, chances are you may have heard some buzz about an upcoming horror film called CANDY CORN. If not, you’re definitely going to want to pay attention now. 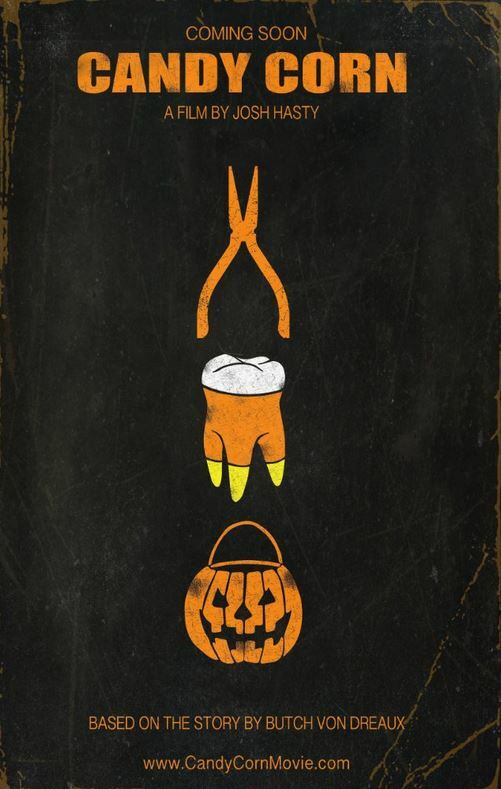 CANDY CORN is based on a short story by Butch Von Dreaux of Butchovision. 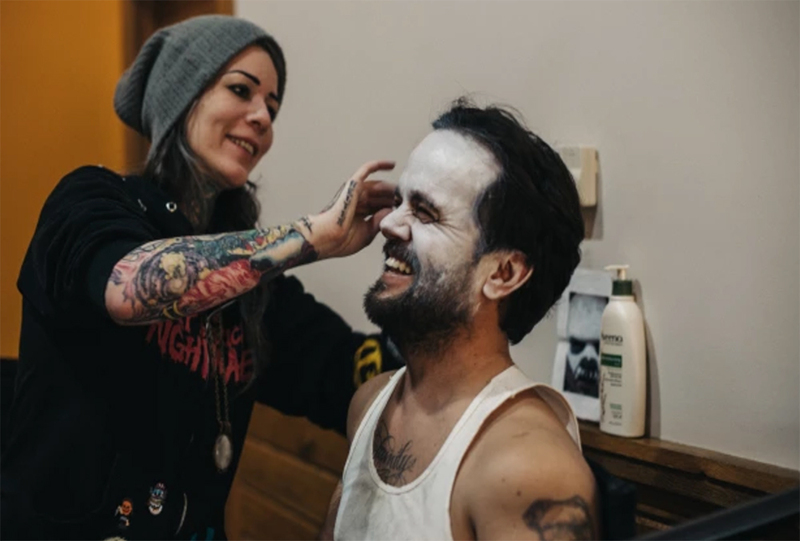 It’s written and directed by Josh Hasty, who most recently helmed the documentary IN HELL EVERYBODY LOVES POPCORN: THE MAKING OF 31, which is available with Rob Zombie’s 31 on DVD and Blu-Ray. Previously, Hasty directed the Halloween-themed throwback Honeyspider. The film is billed as a grisly, campy, 80s-style cult horror. The creators explain this is an indie horror film created specifically with horror fans in mind. It will star the wonderful Pancho Moler (who you probably know as “Sick Head” in Rob Zombie’s 31). The film is scheduled to begin production in spring of 2017. While the filmmakers state they have enough funds to make a decent movie, they are asking for fan support to help take production to the next level. Since Rue Morgue first teased the film in November 2016, many horror fans have been asking how they can help get involved. So the team behind CANDY CORN decided to launch a crowdfunding campaign. This gives fans a chance to be involved with the making of the film, while picking up some cool perks and gaining exclusive access. It also helps the talented team behind the film create a bigger and better movie for horror fans. The filmmakers are hoping to raise $50k from the campaign. This money will be used to hire more iconic horror actors, use more authentic locations and set design, and significantly improve the overall production value. By contributing to the film, horror fans can pick up one-of-a-kind merchandise and memorabilia from Fright Rags, Trick or Treat Studios, Forgotten Saints L.A., and Butchovision. Perks include custom patches, pins, exclusive crowd fund only shirts, officially licensed masks, signed posters, and DVDs. Those who contribute a little more even get the chance to have their name appear in the credits, invitations to exclusive viewings and cast parties, on-set access, or even a role in the film (plus much more). Visit candycornmovie.com to learn more and to help support indie film by donating to CANDY CORN.